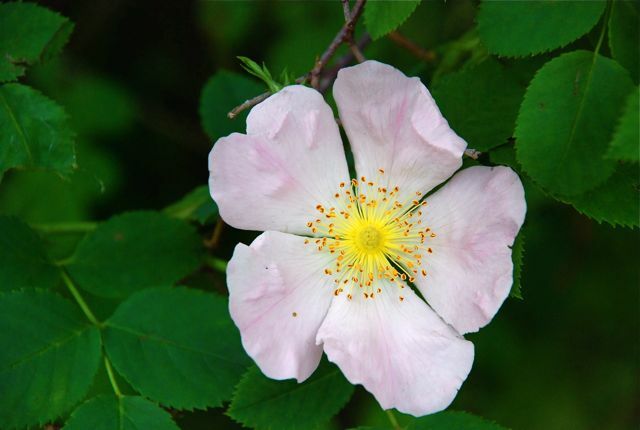 Our mystery seeds last week were from the rose hip or fruit of a wild rose, Rosa sp. You may have seen the plant growing in an old field. 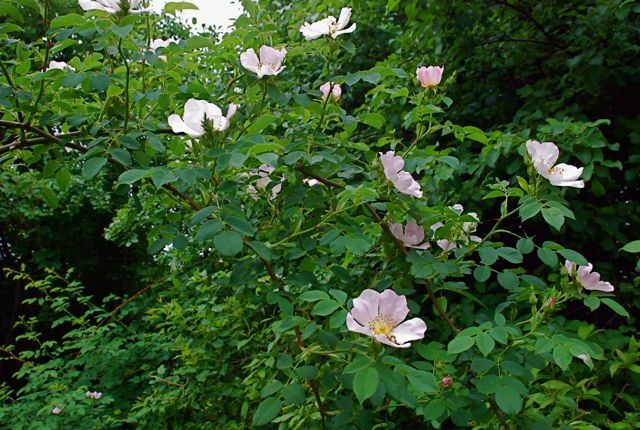 Often they are covered with simple flowers in various shades of pink. The flowers have yellow centers. There are actually at least three different species in the northern parts of United States and Canada. They all make rose hips full of seeds. 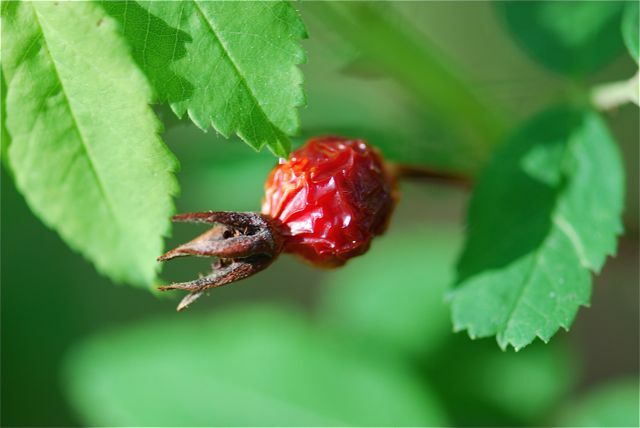 Here's an old rose hip that has dried on the plant. 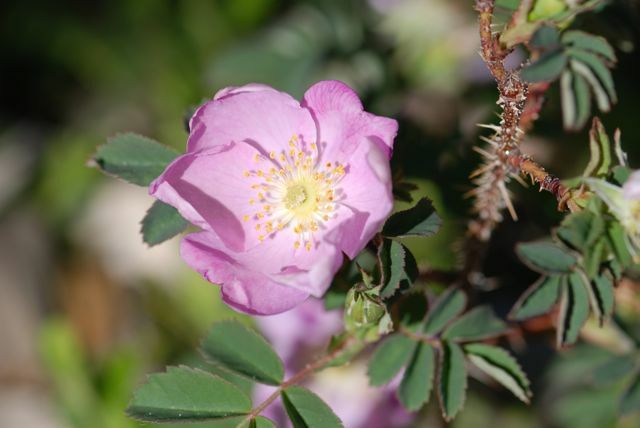 The fruit of Rosa species are edible, but take care to remove all the hairs and seeds. According to some sources, those hairs were once used as an ingredient in itching powder. 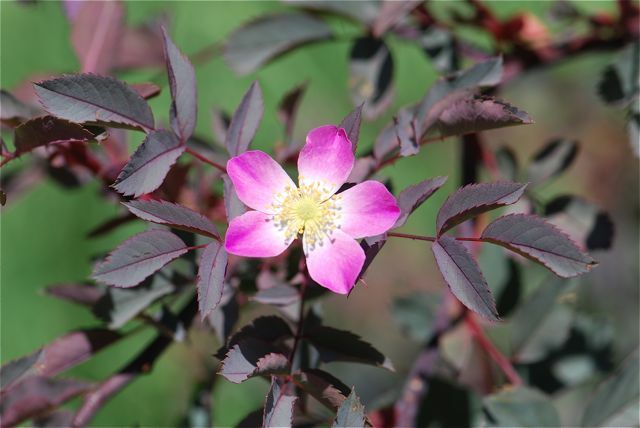 You can also grow new rose plants from the seeds. 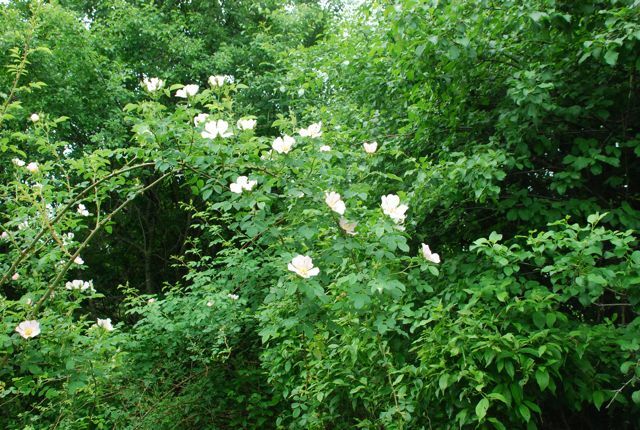 Do wild roses grow where you live? 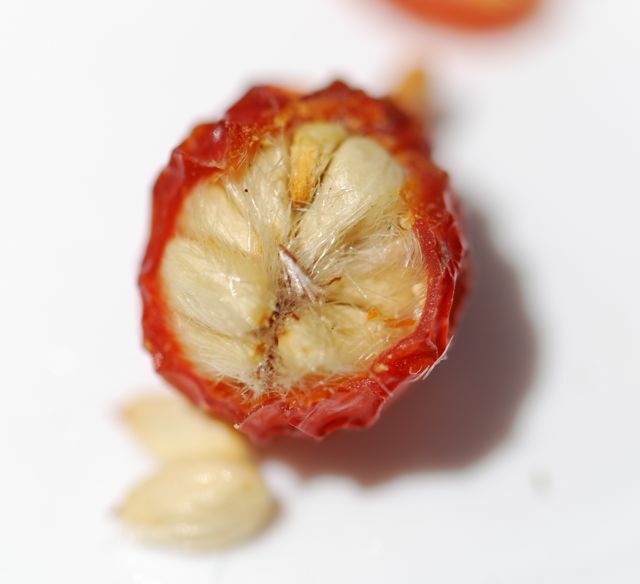 Have you ever eaten rose hips?